With a longer life span, many people do not wish to retire early. In Singapore, the official retirement age is 62 and the employers are asked to offer eligible workers to continue working till 65. And Singapore government is looking into raising the age to 67, and this will give older workers additional 2 year of working life. Even then, 67 is still has many years away from the average life people live in this world. Therefore, I would like to ask people to find meaningful work to do after they retired. 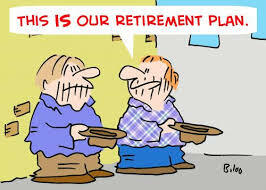 It is important to plan ahead before your retirement age come. One of the concerns most retirees face is the financial means to enjoy their retirement and also worrying the inflation will erode their money. Another concern is the healthcare issue. As age come with health problem, this is no doubt about it and all the senior citizens need to get ready for it. The healthcare cost is increasing year after year, therefore it is advisable for seniors to find a means to earn income. 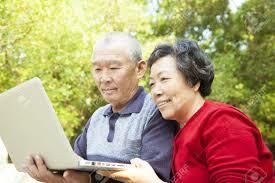 Online business is the most suitable platform for them to pursue at their age. With rising cost of living, we need more money to set aside for our retirement. According to a survey done by HSBC Singapore in July 2016, we need to save 9 year longer in order to have a comfortable retirement when comparing with our previous generation. This is rather scary to me. Work and save for another 9 years? I will get burn out more early. This is going to put more pressures on my current working life. 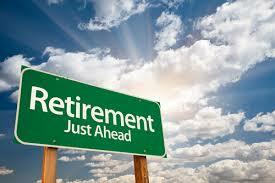 I would suggest to everyone who is reading my website here, to stop thinking about retirement. Instead, build your own online business now and continue to work as long as you are capable of working. I choose online business for seniors is because with online business you do not need to travel so much and you can simply work from home. This is the most suitable job for seniors as movement is minimum and you can work at home anytime you wish. Interested to learn how to start your online business? Visit Wealthy Affiliate Online Platform and start follow the simple steps to build your online business. For most of us, work provides purpose and meaning to our life, especially the older workers. Without working, life can become very dull and boring. It is important to all of us, as long as we are able to cope with the work commitment physically and mentally, we must continue to keep us occupy with things in life. You can setup a website to offer your experiences and know-how to younger generation. Posting all your knows on the website, allowing people to reach you online. Experience is the best teacher and I am sure there will be a lot of younger workers wish to learn from you. Senior employees have very deep knowledge of how a company being run and they have wide contacts to tap. You can decide to collect a token from them, or quote based on market rate. With the additional income, you are able to live your life with dignity earning your own income. Age is just a number, and there are many things you can do proactively at age 50 and above. Servicing the community is one good way, and by learning how the online community interface with others will serve you well. Having problem to create your website? Not an issue. I recommend Wealthy Affiliate online learning platform for you to learn. You can try the learning free for the first 30 days, and subsequently you decide to continue with a small fee. Every decision you make, you are in full control. You can create a blog of yours by focusing on talent development, imparting your knowledge to the younger generation. This is what the society need from older generation. The platform which I mentioned here give you the opportunity to create your dream and live the life you wish. Once you decided, you can visit my “Get Started” page to start your learning journey. Do not be afraid to ask me too, if you has any query to clarify. I am always here to support you.